Not only does baby led weaning lower the stress-level for all mothers and fathers out there, it also benefits your child’s learning process. This is when a baby is becoming accustomed to a new skill, such as feeding themselves, which helps your little one expand their mind. Baby led weaning (BLW) regulates hunger naturally which prevents obesity at young age, since your babies learn how to control what, how much, when and how quickly to eat. This self-selection process also strengthens their own independence and willpower at young age. 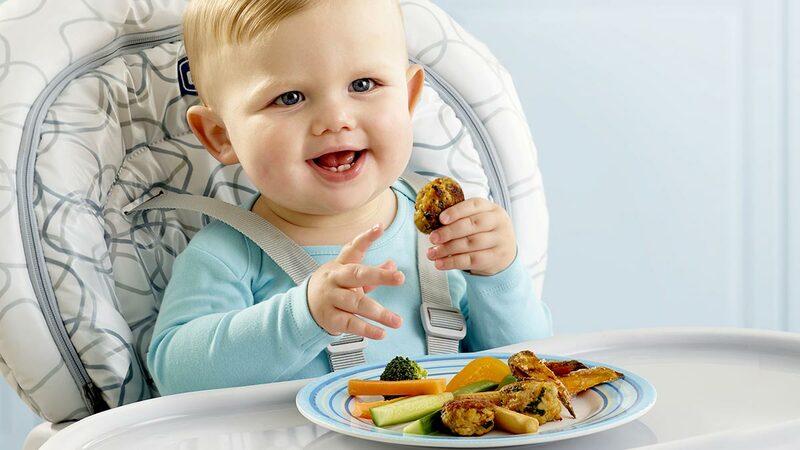 Further, it teaches babies to distinguish between different shapes, textures and sizes of food. They will develop their own eating habits by extending their chewing skills and hand-eye coordination. According to some research found, baby led weaning should also help children to be more open what they are choosing to eat. Many mothers practicing BLW mentioned that their children have definitely increased the range of healthy foods they crave for each meal. This is because mothers can just serve their babies the exact same food as for themselves. Babies will get to know all the ‘family foods’ which will help their taste buds to adapt to all different flavours. Together with COGNIKIDS Dips your little ones will be able to play around with their own small finger foods and purees and have no problem getting the food thanks to our special design. No stressful situations when having family dinners – it simply means a harmonic atmosphere all around the kitchen and the dining table. Plus on top of it all your little one is learning a brand new skill that will help develop their young mind. Acquiring new skills and practicing instincts have never been any easier for your baby. This entry was posted in Developing Young Minds. Bookmark the permalink.